Your post-secondary school is unique. Indeed, its unique qualities help it stand out in a crowded marketplace. But even though your school’s distinguishing characteristics are a necessary part of effective marketing, there are a few essential elements for any campaign to succeed. 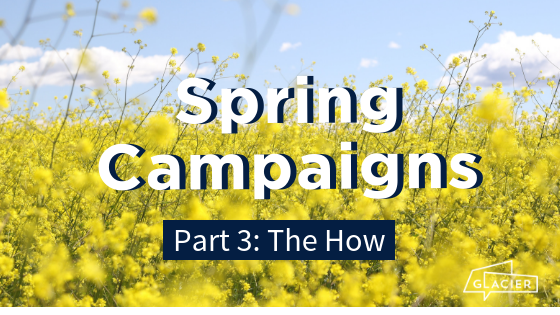 Here are a few initiatives you can take that will improve the impact of your spring campaign. In Glacier-conducted surveys of high school students, the number one thing they wanted to see in advertising material from post-secondary institutions was program information. 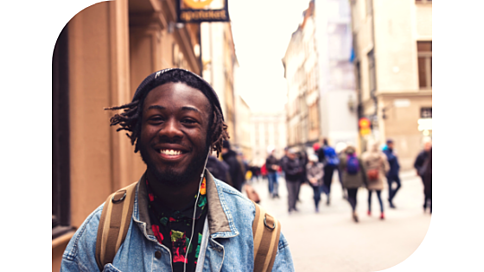 A whopping 52% of respondents said they want to see what they can study at your school, more than twice as many as the next popular response. 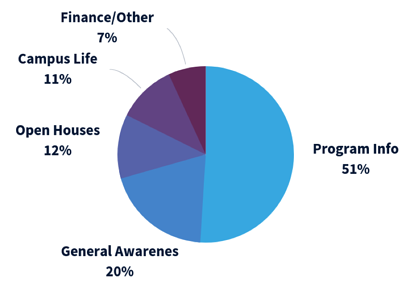 Following program information was general awareness of your school (20%), open house information (12%), and campus life (11%), followed by financial information and other info. 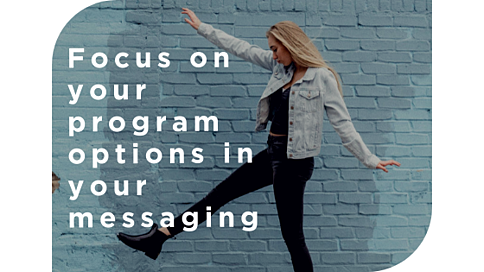 The main marketing takeaway from this insight is to focus on your program options in your messaging. The simplest way to pursue this is to highlight your major programs in your advertisements. References to class size, learning resource access, and internship or apprenticeship programs can round out some of these core concerns about your institution’s programs. Further down the buyer’s journey/marketing funnel, your school can also recruit current post-secondary students to participate in a micro-influencer campaign. This can offer curious high schoolers authentic conversations with trusted individuals, letting them supplement banner ads with first-hand accounts of the program experience. In any event, this meat-and-potatoes approach will satisfy the majority of high school students’ initial curiosity about your institution. It’s not enough to have a good, relevant message. Students – like everybody else living in our billboard-and-web-banner-plastered society – face thousands of advertising messages every day. You need to deliver that message in a way that rises above the noise, rather than become part of it. In short, you need to create an attractive ad. This doesn’t necessarily mean splashy creative, either. Quite the contrary. Our survey of high school students asked them to compare two advertising posters. Thirty-five percent could recall seeing the “HERE IS HOW” ad in their high school, while 48% could recall seeing the “SHAPE YOUR WORLD” poster. Twice as many students also preferred the “SHAPE YOUR WORLD” ad over the other choice. This should be a reassuring takeaway for any marketing departments concerned about including elaborate graphic designs or paying for stock photography. A clear message, prominently displayed and cleanly laid out, will tend to get a lot more mileage than an ad that shoe horns in unnecessary imagery and design. Too much noise will drown out the goods your audience is interested in. Generation Z values making a positive impact in the world. Since higher education is a major step in charting a path for the future, it will go a long way to represent your post-secondary school as not just a checkpoint on this course, but a centre where students can connect with one another and build positive change together. Consider the message of the more memorable ad we saw earlier. “SHAPE YOUR WORLD” captures this mentality to a tee. It’s empowering. It relates to driving change. And it features supplemental copy offering “hands-on, applied education.” Based on this poster, the school in question offers the tools to become an agent of change. Make your audience know you can provide that same empowerment.  Connect with Glacier today to find out how your higher education institution can find the most effective initiatives to appeal to prospective students.